Some events defy statistics and common sense, like winning the lottery four times in a row. We call such events miracles, with unmistakable religious connotations. 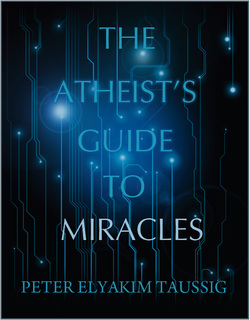 This book attempts to interpret "miraculous" phenomena within a secular rational worldview. Drawing on science, mathematics, psychology, and philosophy, it shows how miracles occur through our interaction with the world, and posits that miracles, far from being extraordinary events, are in fact quite common, provided we can recognize them. But that’s just half the story. The other half is the author’s own improbable life, starting as a Jewish infant hidden in the basement of a Gestapo headquarters, later becoming an Israeli soldier in the Six-Day War, a concert pianist, a filmmaker, a stand-up comedian, and a yogi in an ashram, all before he turned 50. It is a rip-roaring and hilarious tale that will make your head spin. It will also give you a blueprint for turning your own life into a journey of awe and amazement filled with improbable miracles.